When you’ve got 2 kids in karate, 3 kids taking piano, 2 boys in scouts, 3 girls in youth group, one kid in drama, one with a job, one in track (you get the picture) …you need lots and lots of quick dinner ideas. I’ve been more creative this year than ever before, and I’m loving it. Dinner doesn’t have to be complicated to be good. And it doesn’t have to take long to prepare to be tasty, either. 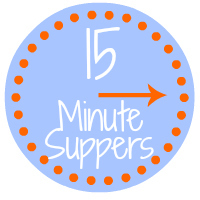 So many of the 15 Minute Suppers that I’ve made in the last 6 months (yes, I’ve been doing a weekly #15MinuteSuppers recipe for over half a year!) can be paired with a quick raw veggie or a green salad (salads don’t have to be complicated, either!). I am loving the quick meal revolution that has been happening in my family. This week, I made a dinner that was quickly coined “classy pizza” (by a certain teen who is not overly fond of pizza) after the second bite. This particular teen was so fond of these pizza paninis that she has actually asked for them again. Like most nights, I was rushed and tried to take some quick shots before having to rush out the door again…and the lighting was NOT cooperating. I love cooking, but I cook for my family, not for the camera…and this time around the family won. 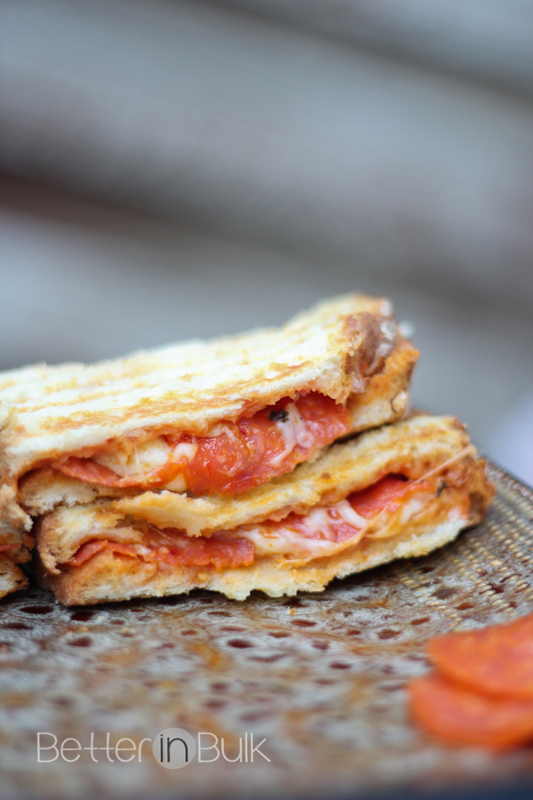 Hopefully you can still tell how easy and delicious these paninis are, despite the pictures. Because bread sizes vary so much I am not including quantities in the ingredients list. The beauty of these sandwiches is that you can put as much or as little of any of the ingredients...or change up the toppings for a new variety. Spread outside of each slice of bread with butter or margarine. Place butter-side-down on plate or cutting board. 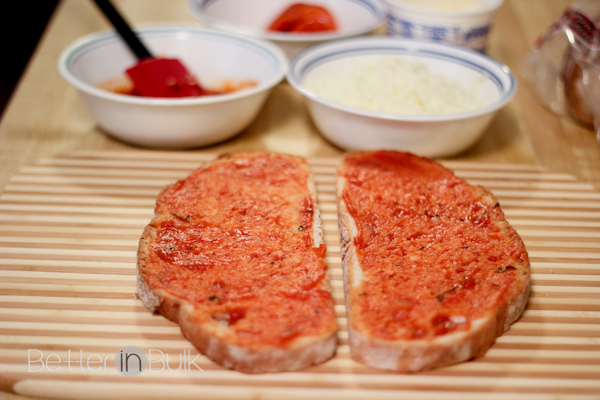 Spread the inside of each slice of bread with a thin layer of spaghetti sauce. Generously sprinkle ONE side of bread with cheese and then place pepperoni on top. Sprinkle additional cheese over the pepperoni so that the top bread sticks. Top with second slice of bread. Place sandwich on panini press, close, and cook for about 5-7 minutes, or until bread is toasted and cheese is melted. Slice sandwich in half and serve! Dip in additional spaghetti sauce, if desired. If you don't have a panini maker, you can make these sandwiches grilled-cheese-style by grilling them in a sauce pan on top of the stove. 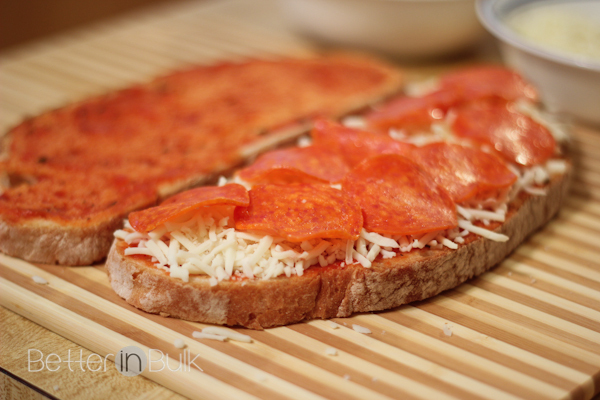 These pepperoni pizza paninis have so much going for them – Quick to prepare, kid-friendly, easy to eat on-the-run, and yummy! We’ll be making them again! I know what you mean about cooking for the camera! Often there is a tug of war about getting food on the table in a timely manner or getting the perfect pics for the blog. Thank you for this recipe and I’m sure it will be a big hit with my family. These look delicious and quick. I like that you donthave to have a panini press as well! oh yum! this looks so good and so easy to make, the kids would love these. This looks very delicious and pretty simple to prepare. I’d love to put in some mushrooms and peppers. Yum! Thanks for the recipe. This looks like something my kiddos would really enjoy! 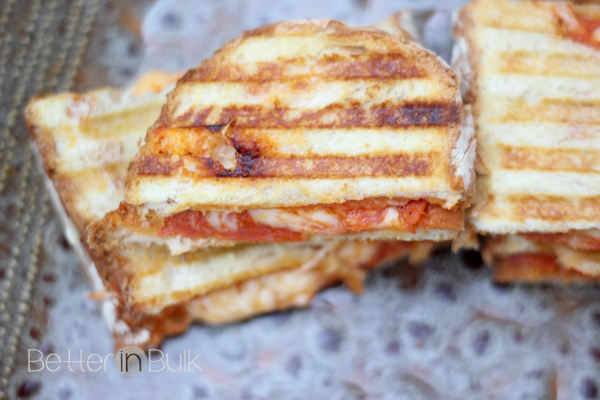 I’ve done grilled cheese like this with sundried tomato spread; they love it! Great after school snack to make for my kids. They love pizza! Looks yummy and would definitely be a pleaser with the family! I bet my kids would love this! This is totally one of those…why didn’t I think of that? meals. I think both the photos and the sandwiches look terrific, my family would loooove these for dinner! 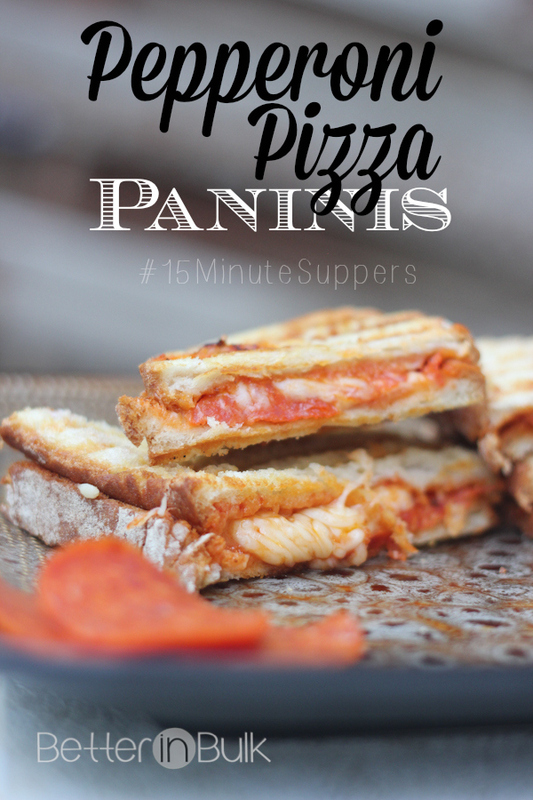 this looks delicious, I am in love with paninis, I really want to get a panani maker. Wow – hard to believe something that looks that good could be put together that fast. I would love to have this, I need a panini maker! I’d like to add a couple slices of fresh tomato and leaves of basil.